A Jacksonville teenager is recovering from a gunshot wound after being shot while he stumbled through a chop shop in the woods with his friends, according to Action News Jax. The teen says that he was shot by the people conducting the chop shop, who are currently on the run. A “chop shop” is an illegal business that takes in stolen vehicles, dismantles them, and sells them for their parts in order to evade detection from law enforcement by selling a complete car or truck. Florida law has strict penalties for those who operate in chop shops, and if you have been charged with a crime or are under investigation for anything pertaining to stolen vehicles or chop shops, you need to call a West Palm Beach criminal defense attorney quickly in order to protect your rights. According to Florida statute 812.16, a chop shop is any area, building, or facility where people are engaged in ”altering, dismantling, reassembling, or in any way concealing or disguising the identity of a stolen motor vehicle or of any major component part of a stolen motor vehicle.” Even the presence of two more stolen vehicles or the presence of major component parts from two or more stolen vehicles will classify an auto body shop or garage as a chop shop. This means that if you were employed at or owned an auto body shop where two or more stolen vehicles or major parts resided, even without your knowledge, you could still be charged under this statute. There are substantial criminal penalties, both in terms of prison time as well as in fines and restitution, for those convicted of operating a chop shop. Whoever knowingly owns, operates, or conducts a chop shop will be charged with a third degree felony. Moreover, anyone who aids and abets another person that owns, operates, or conducts a chop shop also face a third degree felony if found guilty. Third degree felonies are punishable by up to five years in prison and a maximum fine of $5,000. Moreover, the defendant may be ordered to pay restitution to the owners of any stolen vehicles, or to the owner’s insurance company. What is a Major Component Part? Tires, tire wheels, and continuous treads. Whether you were an employee at an auto body shop or private garage or you are the owner, chop shop charges can be severe. Not only could your career or business be over, but you could end up spending years behind bars and tens of thousands of dollars in restitution fees. 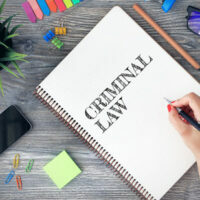 Contact a West Palm Beach criminal defense attorney with the Skier Law Firm today at 561-820-1508 before it is too late.